Scene at federal wildlife refuge six weeks ago. 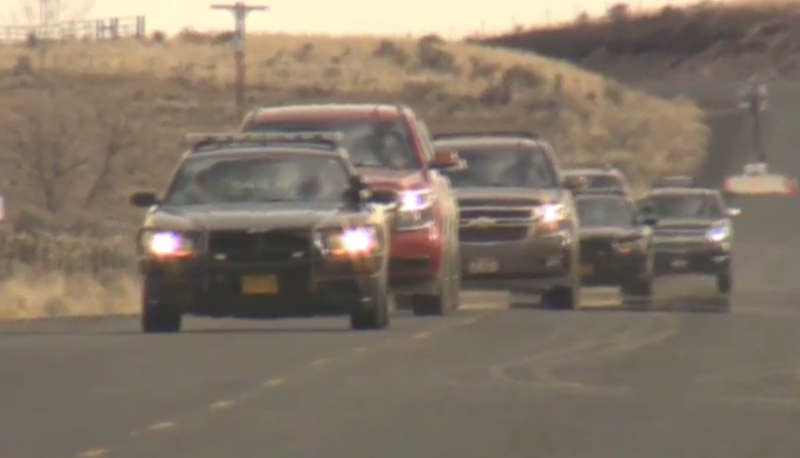 FBI agents are under investigation after it was discovered they fired shots at LaVoy Finicum at the federal wildlife refuge and never reported it. Deschutes County Sheriff Shane Nelson said the two bullets fired by the FBI did not strike Finicum, who was shot three times by state troopers and killed about six weeks ago, Washington Post reports. The sheriff’s office and the Justice Department’s inspector general are investigating the FBI’s involvement. The FBI did not comment. Posted: 3/9/16 at 10:23 AM under News Story.